All self drive tracks begin and end at Merna Mora Station. Tagalong tours require prior arrangement. 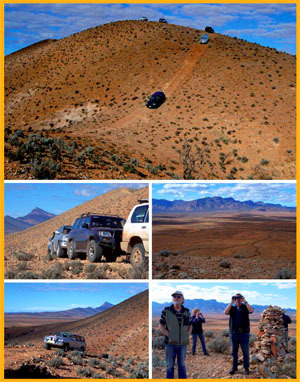 You must provide your own vehicle for self drive and tagalong tours. Maps and comprehensive track notes are included in your purchase. Contact us now for a cost. 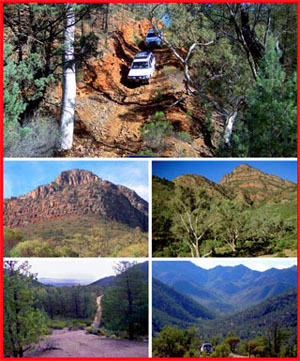 This tour traverses the Bunbinyunna Range against the western wall of Wilpena Pound. High vantage points with spectacular views of the Moralana valley and beyond. Exhilarating proximity to the Wilpena Pound ramparts. Stands of native pine and cassia, contrasts with the brilliant hues of the Flinders. •	Low range 4WD/high clearance vehicle essential. •	4 – 5 hours. The Lake Torrens Tour is a 4 – 6 hour experience. At the Lake’s edge take a careful walk along this unique landscape. 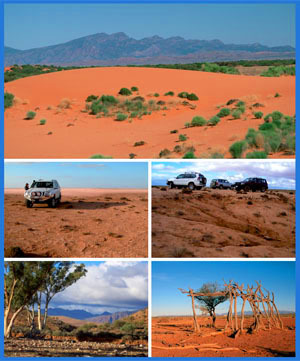 A true taste of desert pastoral country in its pristine state, through sand dunes, gibber flats and floodplains. Contrasting landforms and vegetation; home to many varieties of herb and plant life with species of birds, reptiles and animals in their natural habitat. •	Suitable for All wheel drive with high clearance. An informative trek through time. 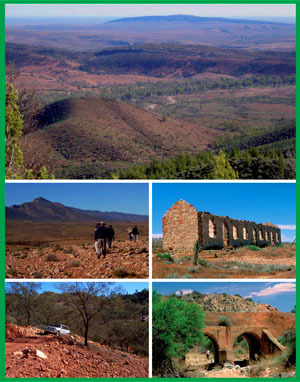 Explore old Ghan railway line, fettler’s cottages and remarkable lime kilns. 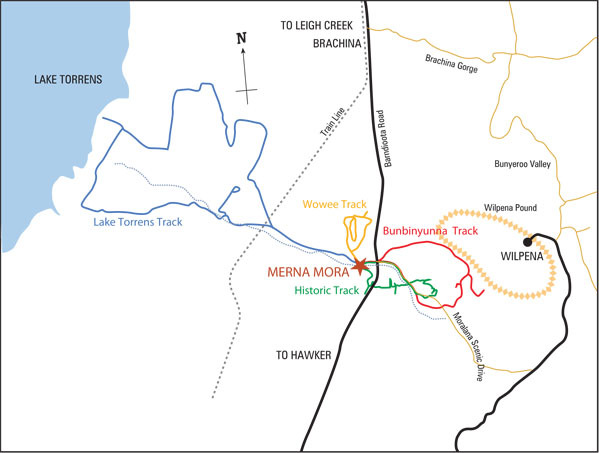 Follow historic bullock wagon tracks up onto northern Elder Range. Trace the hilltops of Bunbinyunna Range for panoramic views. Sites of interest including fossil beds and early architecture. An adventure track for the experienced 4WDriver. Bourneburra range and ridges with switchbacks, giving exhilarating vistas and landscapes in a 360 degree panorama from Wilpena to Lake Torrens. An aerial view without the plane. Not for the faint hearted or inexperienced. •	A must do for the adventure driver. •	Low range 4WD high clearance vehicle only. •	Needs driver initiative and confidence.